Lisbon’s decision to trash bondholders of Novo Banco rode roughshod over creditors’ claims for equal treatment. The region’s new resolution regime is meant to be clearer. Yet it too leaves room for more bad behaviour. The Bank of Portugal said on Dec. 29 it had transferred 1.941 billion euros of senior bonds from Novo Banco to Banco Espirito Santo (BES). 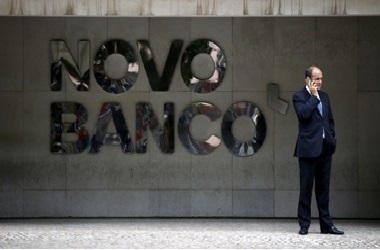 The bonds were originally transferred to Novo Banco after the bank was carved out of failed lender BES. The bail-in tool of the Bank Recovery and Resolution Directive came into force on Jan. 1, 2016. The rules stipulate that banks’ investors owning 8 percent of total liabilities must shoulder losses before resolution funds can be used. Europe’s Single Resolution Mechanism became operational as of Jan. 1, 2016. The Single Resolution Board will manage the resolution of 120 euro area bank and cross-border groups.